Know this: You’re not crazy, you’re just feeling things that you’ve been pushing away for a while. That isn’t always easy, though. 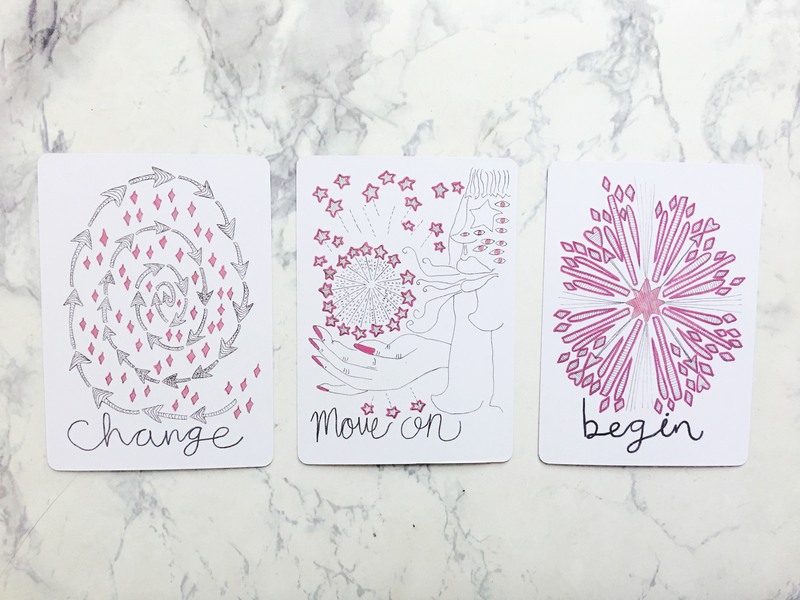 So I used the Vessel Oracle Deck by Mary Elizabeth Evans and my own intuition to give you a mini reading on how to deal with the strong emotions Cancer season may have brought out in you. 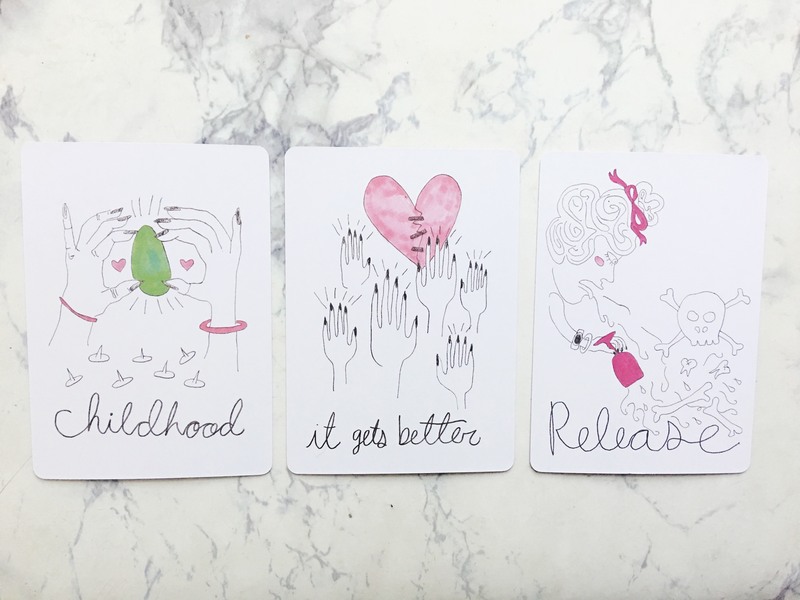 From left to right, cards for: Aries, Taurus, and Gemini. As the baby of the zodiac, you’re more comfortable acting from your childlike essence than most of us. This has its perks… And its downsides! During Cancer season, I want you to think about what your six-year-old self needed…. And then do your utmost to provide it, now. You are never alone in the problems that you face. Don’t suffer by yourself! Call a friend, join a support group, find a therapist that truly understands you. The world is full of tools that can help you! You don’t have to do it all alone. It’s time for an emotional spring clean, Gemini! You’ve been holding on to old memories, clothes, and visions for way too long. Get rid of the elements in your life that won’t propel you forward into your best life: Sell old clothes, meditate and clear your mind, and create new dreams! From left to right, a card laydown for: Cancer, Leo, and Virgo. Normally, when we think about forgiveness, we think about the people who we feel have wronged us, but this birthday season, I want you to focus on forgiving yourself. Forgive yourself for thinking small, letting energy vampires in the front door, and—most crucially—for not being perfect. If you’ve been feeling disconnected—from your lover, your friends, your joy—this is the time to turn inward. Spend some time alone, listening to your intuition. It always knows the best course of action, even when your conscious mind doesn’t. You will be faced with many choices and decisions to make this month. Let your verdicts be driven by love. Choose to expand instead of contract. Give without worrying about reciprocity. You already have more than enough! 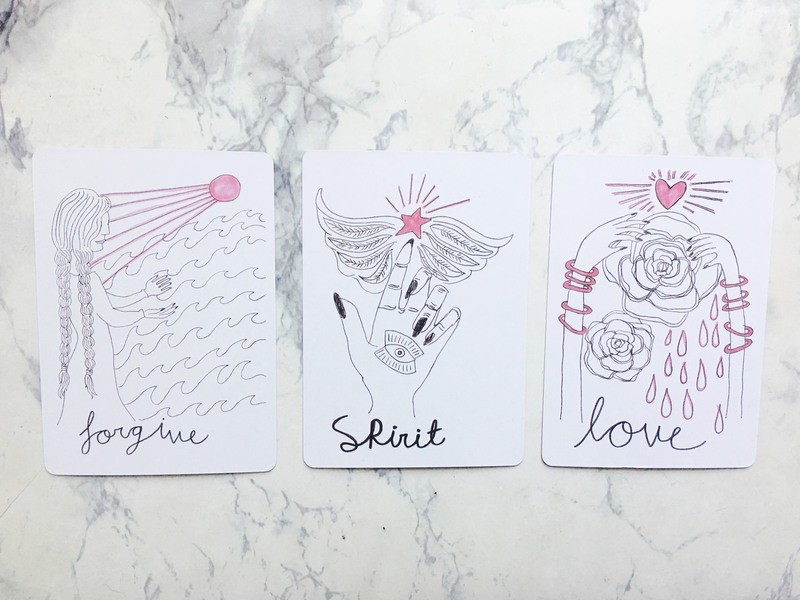 From left to right: Cards for Libra, Scorpio, and Sagittarius. Change can be uncomfortable, but every small shift brings us closer to our greater destiny. There are no wrong roads! Be willing to take a risk. Pay attention and let the universe nudge you in the direction of beauty and adventure. Are you really gaining anything by holding onto the past so tightly, Scorpio? Make release and forgiveness a part of your life. Set your sights on new dreams, and leave all those people and situations that are too small in your rearview mirror. You have reached a point in your journey where you are ready to take a deep breath and start a new project. It’s time! Point yourself in a fresh direction, and get excited. This whole universe is yours for the taking. Capricorn, Aquarius, and Pisces card laydowns. 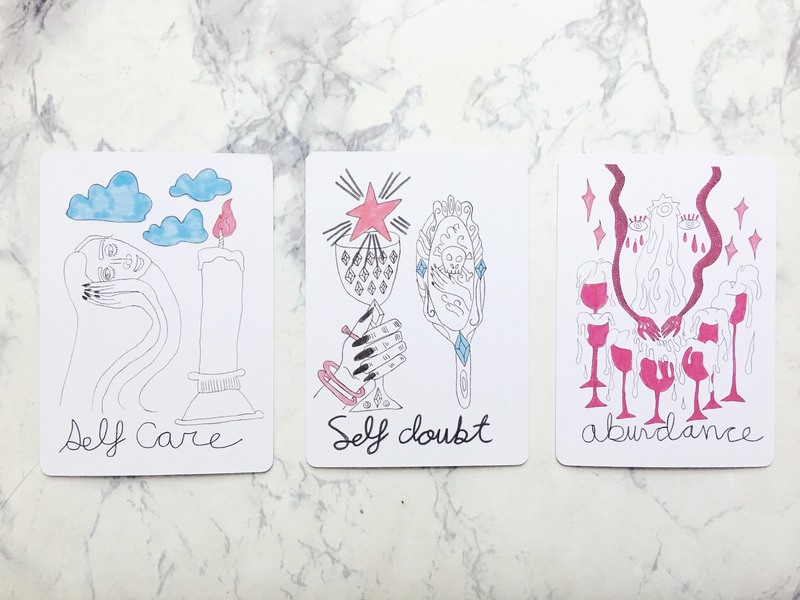 Radical self-love is the name of the game for you, Capricorn babe. I know you love your deadlines and goals, but remember that taking care of your emotional health will ultimately help you be more efficient! I know that right now you might be deep in an existential crisis, wondering what the point is. But the point is that no one else has your unique perspective, beautiful insight, or divine talent. We want to see you succeed and be joyful. We need you! Pisces, Boo, even if you’re wading in a pool of “never enough,” I want you to take a moment to recognize all the ever-present gifts and blessings in your life. In fact, if you sit down and think about it, you already have everything you’ll ever need. I’d love to hear how accurate your card is! Hit me up on Instagram and let me know! Images from the Mary Elizabeth Evans Vessel Oracle deck.